The adoptive name of Nokhum Brodski, he was born in Lebedin, Kiev district, Ukraine. He studied at religious primary school and yeshivas, as well as in the Odessa yeshiva of R. Chaim Tchernowitz (Rav Tzair). He was a communal and Zionist leader. From 1914 he was living in Palestine—in the kibbutzim of Mehavia, Degania, and Ein Harod. He was a member of the executive of “Unity of Labour Party.” On several occasions he was sent on Youth Zionist (Heḥalutz) missions to Poland. He was a co-founder of the Hebrew monthly journal Shaḥarit (Morning) in Odessa and in Warsaw, and he was a member of the editorial board of the youth journal Mibifnim (From within) and Kuntres (Pamphlet). He also contributed to Davar (Word), Gazit (Hewn stone), Gilyonot (Tablets), and Bemaale (On the way up). While he was in Poland, he served on the editorial boards of Dos vort (The word), Heatid (The future), and Lehavot (Flames)—all in Warsaw. 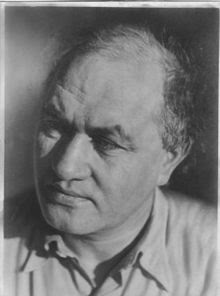 Among his books: Ein Harod (Tel Aviv, 1926, 1931) which he translated by himself into Yiddish; Zelbst-farvirklekhung (Self-realization), articles concerned with issues in Palestine; Vuhin un vi azoy (Whither and how?) (Warsaw, 1928), 26 pp. ; Di erets-yisroel arbetershaft un der oyfboy funem yidishn arbets-tsenter in erets-yisroel (Labor in the Land of Israel and the construction of the Jewish workers’ center in the Land of Israel) (Warsaw), 46 pp. He died in Tel Aviv. Source: D. Tidhar, in Entsiklopedyah leḥalutse hayishuv uvonav (Encyclopedia of the founders and builders of Israel), vol. 4 (Tel Aviv, 1950), p. 1643.